We have land available in several different counties in both North and South Carolina. Land in Taylorsville NC – Manufactured homes are affordable, come in a variety of different models, and are the perfect living space for anyone, regardless of whether you have a large family or are looking to settle down and live out your retirement years. One of the main benefits of manufactured homes is that you can select where you want the home to be located. If you want to live in the countryside or right in the heart of Taylorsville, North Carolina, you don’t have to limit your home choices based on the location. At 1st Choice Home Centers, not only can we provide you with a wide selection of different home models, but we also have land available in several different counties in both North and South Carolina. Some of the counties you can choose from include Anson, Gaston, Union, Rowan, Cleveland, Chester, York, and more. Plus, when you purchase land from us for your manufactured home, you’re not limited to a particular lot size. We have lots available ranging from just half an acre to over 10 acres in size. We can also build on a piece of land you purchased independently. At 1st Choice Home Centers, we don’t want you just to be happy with the size, style, and interior and exterior features of your home. We also want you to be satisfied with where it is located. If you need assistance picking out a beneficial piece of land to purchase for your manufactured home or want to browse through our selection of available plots, don’t hesitate to get in contact with us. 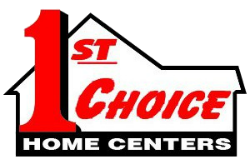 1st Choice Home Center offers premium land in Statesville, Mocksville, Mooresville, Troutman, Taylorsville, Maiden, Conover, Lincolnton, Newton, Union Grove, Hickory, Harmony, Mooresville, and surrounding areas of North Carolina.